September 2, 2015 --(PENSACOLA, FLA)-- Aging baby boomers looking for easier accessibility within the home are gravitating toward master bedroom suites located on the main floor. Those same homeowners are now faced with how to protect their privacy when it could be easy for neighbors and people passing by to glance into first floor bedrooms and bathrooms. "Since the trend of first floor master suites is here to stay, it's important for builders to take the steps necessary to protect homeowner privacy," says Roger Murphy, president of Hy-Lite, a U.S. Block Windows Company. "Especially in bathrooms, that solution is designer privacy windows." Murphy points out that privacy windows come in a variety of styles, including opaque decorative glass, acrylic block and true glass block windows. Some units are operational, while others are fixed. "Having a garden or whirlpool tub can be a relaxing getaway in the home --- unless you have to worry about people walking by or too-close-neighbors seeing you in the tub!" says Murphy. "Privacy windows take away that worry in style. Some windows, like our Home Designer Collection, offer silkscreen glass designs on the decorative windows that complement the overall style of the home." According to Murphy, the newer trend of spa showers in the master bathroom can also benefit from having privacy windows incorporated into their design. 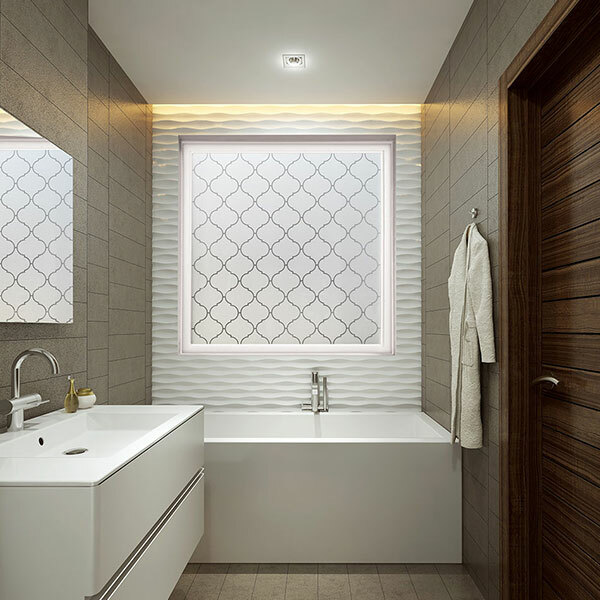 "Decorative windows are available in 4' by 1' sizes that can be added high above in a shower to add light into a master spa center," says Murphy. "While the 4' by 4' size can be ideal for a large space over a tub, other sizes --- including a 3' by 5' window --- are available to enhance the design of all spaces of the master suite, including a walk-in closet." Launched in 2015, the Home Designer Collection of eclectic decorative glass windows was inspired by designers from across the country. The windows --- Metro, Mission, Prairie and Baroque --- all allow light into the home but provide privacy for occupants of the home. For those homeowners wishing to ventilate the bathroom, operable awning and casement windows are available in Craftsman, Spring Flower, Victorian and Wrought Iron styles. Acrylic block windows are also available in operable casement, awning, single hung and slider styles. "Privacy windows can be used in a multitude of areas in the home," says Murphy. "While they're exceptionally popular for bathrooms, they can also bring style and light into closets, foyers, laundry rooms and the main rooms throughout the house. These windows are a key way for homeowners to enjoy first floor living in style."